The Chrysler 200 is one of the newest and most stunning offerings in the popular mid-size sedan market. These sporty yet refined mid-size sedans are available at Woody Folsom Chrysler, serving Pine Grove, Graham, Dublin, Savannah, Jacksonville, and Brunswick, GA.
Chrysler’s 200 sedan has been getting rave reviews and a number of awards, both for it’s powerful and fuel-efficient 3.6 liter Pentastar V6 engine, and it’s refined and stylish interior. The substantial list of standard and available equipment makes it simple to find a 200 that’s just right for you. Some of the 200’s standard features include: a nine-speed transmission, steering-wheel mounted controls, air conditioning, power windows and door locks, remote keyless entry, and an AM/FM/CD audio system. For additional comfort and refinement you can have your 200 equipped with heated leather seats, leather-wrapped steering wheel, larger diameter alloy wheels, and a large touchscreen display. Every used Chrysler 200 is a reliable and late-model car, but for additional peace of mind you should consider buying a Certified Pre-Owned (CPO) 200 at Woody Folsom Chrysler. To meet Chrysler’s Certified Pre-Owned requirements, a used 200 will have fewer than 75,000 actual miles on the odometer, and will be no more than five model-years old. Every Chrysler CPO vehicle passes a 125-point inspection and a CARFAX Vehicle History Report, reviewed by Chrysler certified technicians. 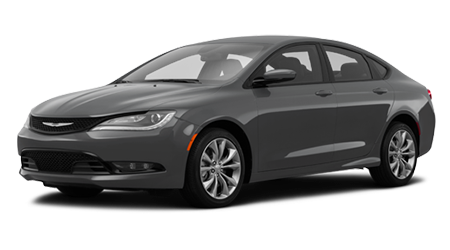 Purchasing a CPO Chrysler 200 should provide you with a great deal of peace of mind! Every Chrysler CPO vehicle comes with a 7-year/100,000 mile warranty, which includes coverage of the powertrain. Chrysler CPO owners have the option to add on or upgrade their warranty at any time during the 7-year/100,000 mile period with a choice of 3 genuine Mopar® Vehicle Protection Plans. These options include the Added Care (powertrain warranty and 650+ covered components), Added Care Plus (powertrain warranty and 800+ components), or Maximum Care (vehicle-lifetime powertrain warranty and 5000+ covered components). Visit the Woody Folsom Chrysler website to fill out an online finance application to begin the process of finding your next vehicle – no matter what your credit history may be. Our finance team not only works with Chrysler Capital, but a number of banks and local credit unions to get you into your next vehicle. If live near Pine Grove, Graham, Dublin, Savannah, Jacksonville, and Brunswick, GA and are in the market for a used 200, stop by Woody Folsom Chrysler. Our friendly and helpful sales and finance teams are here to assist you with your entire car purchase -- from finding your 200 to getting you a great price and financing!